WILMINGTON — An accused kidnapper and his victim testified on the first day of a bench trial on Monday at the Clinton County Common Pleas Court. Dennis Dunn, 47, currently held in the Clinton County Jail, testified that he was trying to save Jennifer Elliott, 32, from a Satanic group and from her family. Dunn also testified that he and Elliott had a boyfriend-girlfriend relationship. Elliott and her mother, Gayle Rowe, testified that Dunn kept harassing Elliott and she didn’t want a relationship. Dunn called them “compulsive liars.” He further claimed that it was Elliott who set up the idea to hide her in the pit in the shed until “the police left” and then “a day or two” until the situation died down. 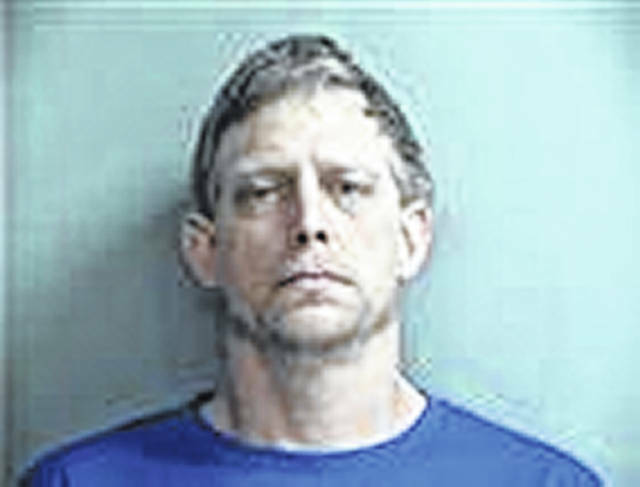 Dunn faces two charges of felony 1 kidnapping and three counts of felony 3 abduction in regards to him allegedly kidnapping Elliott, his neighbor at the time, on April 26, 2017 in Blanchester. Elliott was reported missing by her mother, Rowe, at 1:30 a.m. April 26, after she arrived home from work and couldn’t find her. Elliott was found by Blanchester police in a pit dug out of a shed — described as approximately three-and-a-half feet deep, two feet in diameter, covered with wood and heavy objects — in Dunn’s backyard around 4 a.m. after Rowe reported she heard crying in the shed. When Elliott was rescued she appeared to be having a seizure and she was transported to Clinton Memorial Hospital. Dunn was arrested and charged with kidnapping that morning. Rowe described Dunn in court as a family friend who “watched (Elliott) grow up.” She indicated that when Elliott moved in with her son to help take care of her husband — Elliott’s father — after a medical procedure, as when Dunn’s behavior seemed different. Rowe testified that Dunn at one point said that he “loved her”, and she began to distrust him since his behavior was becoming strange. The defense counsel, James Hartke, and Dunn looked at phone records he claims shows that he and Elliott had texted and chatted numerous times, with Dunn claiming Elliott called him. The trial will continue Tuesday.